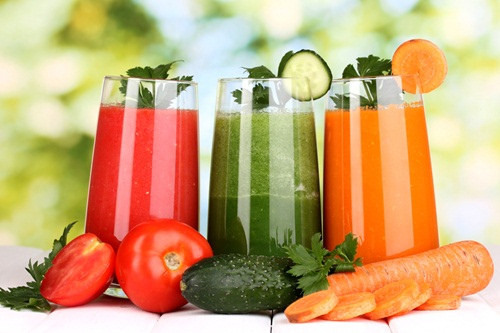 Juice therapy involves the consumption of the juice of raw fruit or vegetables. A person may drink juice preventively to stay healthy, to treat a medical condition like cancer, or to produce a certain outcome, such as strengthening the immune system. Three widely practiced juice therapies differ primarily in the amount of time that a person is involved in the therapy and whether other items are included in the person’s diet. For some people, adding fresh juice to their daily meal plan is sufficient. Others will embark on a juice fast for several days to cleanse their systems. Juice is also a major component of the so-called Gerson therapy diet that is used to treat cancer. This therapy usually starts with a stay of three to eight weeks in a clinic. Then therapy continues at home and may continue for years. The two components of most juice therapies, fasting and juice consumption, date back thousands of years. Fasting is a long-standing religious tradition described in the Bible and other sources. The medicinal use of juice can be traced back thousands of years to India. Proponents of Ayurveda, a healing system, believed that drinking juice strengthens body tissues. In the centuries that followed, people recognized that eating fruit and vegetables produce many health benefits. Carrots were said to improve eyesight; and according to the adage, “An apple a day keeps the doctor away.” During the twentieth century, fruit and vegetables became important components of healing therapy. During the 1940s, a German doctor named Max B. Gerson developed a therapy using juice to treat his migraine. His diet was based on the theory that excessive sodium in a person’s system disrupts the immune system and the functions of the liver, pancreas, and thyroid gland. Gerson developed a low-salt organic diet that focuses on raw vegetable and fruit juices. The diet included nutritional supplements and coffee enemas to detoxify the liver and relieve pain. The therapy worked for Gerson, so he recommended it to patients. People diagnosed with cancer and tuberculosis said that the Gerson diet therapy produced positive results. Advocates of juice therapies maintain that refraining from food boosts the body’s ability to heal itself. Since the body is not spending time and energy on digesting high-fat food, it can concentrate on healing instead. That reasoning is the basis of juice fasts. Kordich toured the country and talked about juice ingredients that seemed exotic to a public used to tomato juice and orange juice. One beverage consisted of juiced potato, apple, carrot, and parsley. Research has shown that a diet rich in fruit and vegetables reduces the risk of such diseases such as heart disease, cancer, and diabetes. Furthermore, raw vegetables and fruit contain vitamins, food enzymes, minerals, amino acids, and natural sugars. 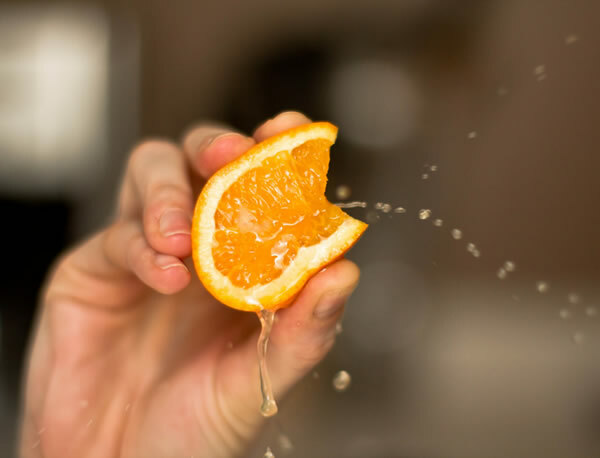 Some of those benefits may be lost when commercial juice is purchased because juice sold in stores is pasteurized, which results in the loss of some nutrients. 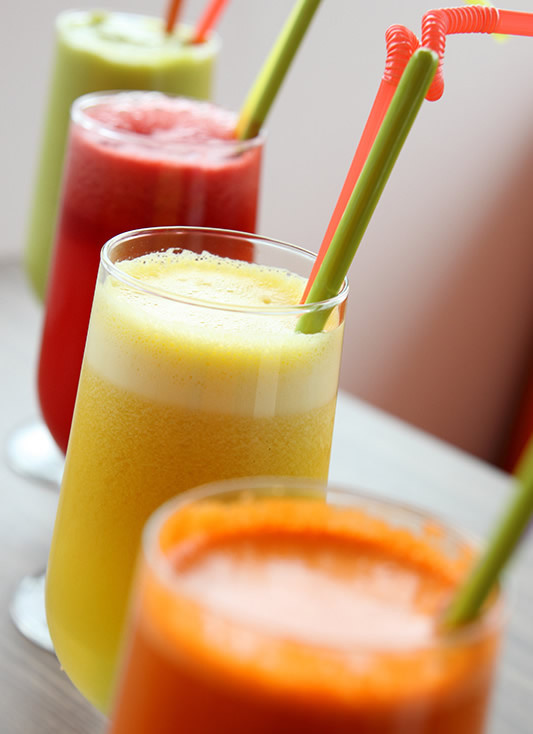 Fresh juice’s benefits extend beyond its nutritional content, according to juice therapy advocates. Proponents of juice therapies continue to study its benefits. In 2002, a physician reported to the American College of Cardiology that two cups of orange juice daily significantly lowered the blood pressure of hypertensive patients. A British study in the same year verified the positive effects of cranberry juice on urinary tract infections. Juice is used in Ayurvedic treatment for such conditions as arthritis, anemia, and constipation. Juice is also a component of naturopathy, which is also known as the “whole body cure.” A naturopathic doctor may prescribe a juice fast. Supporters of fasting believe that the process releases a hormone that helps the body fight disease. A juice fast will strengthen the immune system, according to adherents. It may be part of naturopathic treatment for conditions including arthritis, cancer, and AIDS. The fast also allows the naturopathic physician to identify food sensitivities (allergens) as the patient begins eating food. Juice therapy is part of the Gerson diet, a cancer therapy said to eliminate the buildup of toxins in the body by stimulating enzymes, improving the digestive system, and providing the correct balance of vitamins and minerals. 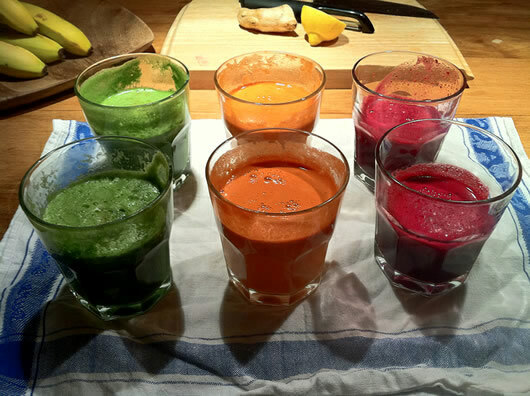 Juice therapy can be as simple as extracting the juice from raw produce or as complicated as the Gerson diet. The therapies vary in the amount of commitment involved and the cost. Whether a therapy is covered by medical insurance will depend on the patient’s health plan. The person who juices or fasts at home generally isn’t covered. A juice fast administered as part of another treatment by a doctor or health practitioner might be covered. For Gerson therapy, some companies pay for part or all of costs, according to the Gerson Institute website. 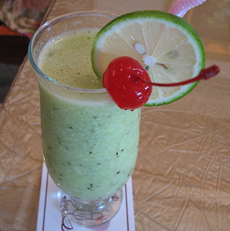 The Gerson therapy treatment is based on drinking freshly pressed vegetable and fruit juice every hour. During a typical day at a Gerson clinic, a person would drink 13 glasses of raw carrot/apple and green-leaf vegetable juices. Vegetarian meals of organically grown food are served. During treatment, the patient receives caffeine enemas during the evening to detoxify the blood and tissues, according to the Gerson Institute website. The institute does not operate facilities; instead it licenses such facilities as the Oasis of Hope Hospital in Tijuana, Mexico. The hospital opened a Gerson Therapy Center in September of 1999 that cost each patient $4,900 for a week of care. That figure included the cost of a companion’s housing as well as follow-up consultations. A juice fast can be done at home with no help or under the direction of a practitioner such as a naturopathic doctor. The fast could also be part of the program at a retreat center. Another option is a short-term cleansing diet lasting two to three days. One popular fast involves consumption of fruit and vegetable juice for several days. In some plans, herbal tea and broth are allowed. Another variation is the raw food diet, which involves eating uncooked fruit and vegetables. The diet is said to be useful in treating such conditions as heart disease and arthritis. Juicing involves the extraction of juice from raw fruit or vegetables. An extractor, fresh produce, and a commitment of time to juice the items are required. 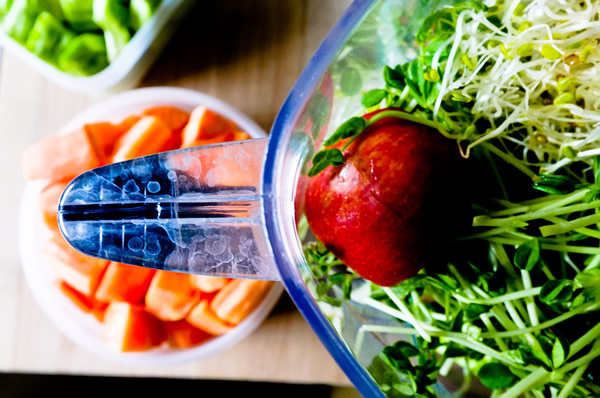 A blender isn’t strong enough to juice raw produce, and extractors are priced from about $120–2,000. Juice should be consumed as soon as possible after extraction because when it’s stored, juice loses its nutritional value. An 8-oz (240 ml) glass of carrot juice contains more than 10 times the recommended daily allowance of vitamin C.
Fresh fruit and vegetable juices, including wheatgrass juice, are consumed for ulcers. Ulcer remedies include raw potato juice for peptic ulcers. For a duodenal ulcer, raw cabbage juice can be mixed with carrot and celery juice. Cranberries help prevent and treat urinary infections. Beet juice can be diluted to stimulate the liver. Garlic lowers the blood pressure and cholesterol. Cantaloupe juice can be consumed for stress. People should consult a doctor, practitioner, or nutritionist before beginning a fast or treatment like Gerson therapy. The medical professional can determine whether it’s safe to fast and how long the fast should last. The doctor may discover during the test that the person has a condition like diabetes. If that is the case, only a supervised fast would be recommended. Some caution should be taken with each form of juice therapy. Juicing removes much of the necessary dietary fiber found in fruits and vegetables. Since an adult diet should contain 20–25 g of fiber per day, a person should find other sources of fiber. Another caution is that carrot greens, rhubarb greens, and apple seeds can be toxic and should not be juiced. Some health professionals advise against fasting, a process they say can produce weakness, fatigue, anemia, and other disorders. Other health professionals believe that fasts are safe but should not be undertaken by pregnant women, people who are diabetic, and those who have ulcers or a heart condition. In some cases, the doctor or practitioner may advise a supervised fast. Critics of the Gerson diet maintain that its dangerous side effects include too much weight loss and poor resistance to disease. A person diagnosed with cancer should not abandon such other conventional treatments as chemotherapy in favor of alternative treatment, according to organizations such as the National Cancer Institute. Furthermore, the Gerson Institute advised that therapy should be conducted under the supervision of a Gerson practitioner when a patient is undergoing chemotherapy, is a diabetic, has severe kidney damage, or has breast implants. The side effects of fasting can include weight loss and fatigue. In Gerson therapy, diarrhea and nausea are considered part of the healing process. During the treatment, a person may experience flu-like symptoms, loss of appetite, weakness, and dizziness. Other side effects may include fever blisters, perspiration and body odor,intestinal cramping, and a painful feeling in tumors. Studies of Gerson therapy indicated a higher rate of survival for cancer patients who received the treatment in comparison to those who didn’t. That research included a 1995 study performed in Mexico. The therapy has not been researched extensively, however, and the Gerson diet is classified by the National Cancer Institute as not medically proven and potentially unsafe. Some elements of the diet are beneficial—fruit, vegetables, and low-fat food. Most medical professionals believe, however, that less strenuous forms of therapy can be used to treat cancer.